This week was all about the HST's for me. I personally love the look they give projects and it's a real test of my cutting/sewing ability to make sure all those darn points match up! Have a fabulous Friday everyone and for those of you in another part of the world, have a fabulous night! I'll be back this weekend with some more sewing to show! I've been productive!! I love a good HST. Nothing make sme happier than when the points meet up. Ah, satisfaction. Got a bit fed up with HSTs after an HST sashing on one quilt but inspiration like this might just interest me in them again. 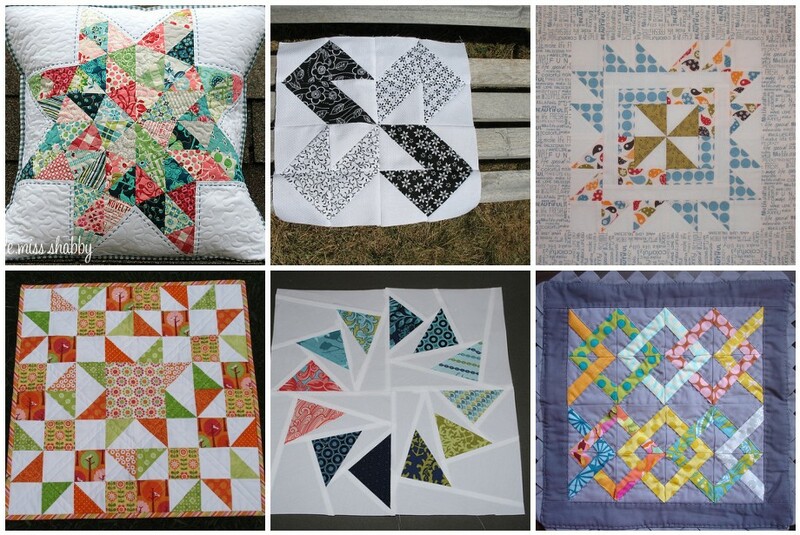 Love the doll quilt - lucky you - the shapes and colours are right up my street!